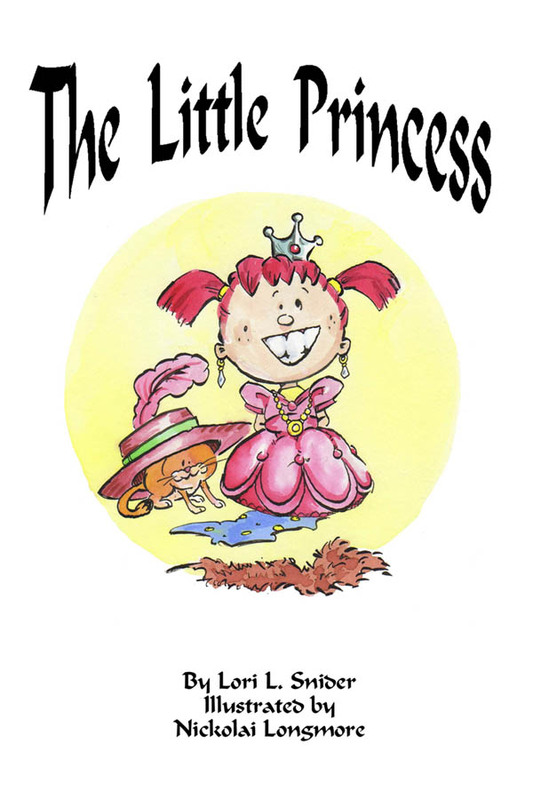 illustrated by Nickolai Longmore Let me start by stating that The Little Princess is a very special book for me. 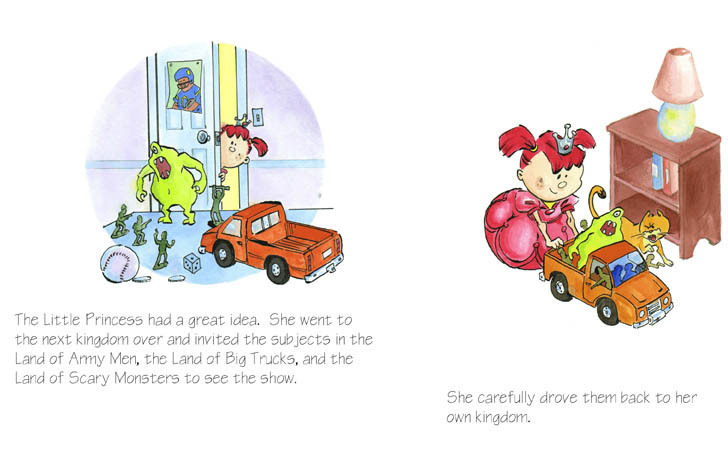 It was written by my talented sister, Lori, and illustrated by my creative brother, Nick. The Little Princess is about a girl who not only enjoys dressing herself up, but her dolls also. She decides she needs to have a fashion show, but she doesn't have enough "toys" to provide an audience. To solve this dilemma she travels to her brother's "kingdom" and borrows a few toys without asking. The "Prince" and the "Princess" have to learn to respectfully share and play together. (And they find out they really enjoy being together.) Nick's illustrations are also incredible. (All the illustrations from the website have been done by Nick.) The little details are delightful. For example, the cat is really fun to watch as he takes his place on the fringes of the story - and he does end up with the crown. 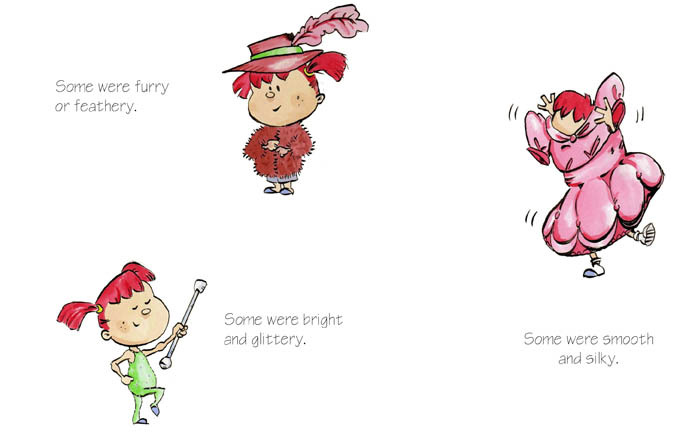 My favorite page of the "Princess" is when she is trying on her dress up clothes, furry, feathery, glittery, and silky and smooth. I also love the end page with the mother watching in the background as her children play "lovingly" together. Putting together this website has truly has been a "labor of love". It is an honor to share with you our love for reading, storytelling, and never forget the illustrations (a "picture's worth a thousand words").